For products & prices, click a category. 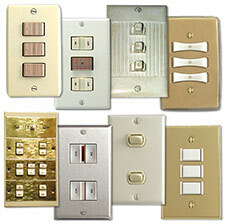 Find GE relays, GE switches, replacement switch plates, new wall plates, etc. Which system do you have? 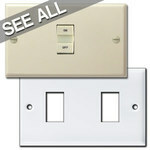 Replacements are available regardless of the style of switches you have. 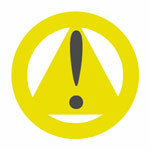 Use the symbols (explained below) to find replacement parts for your specific system. Solution: Replace broken switches and keep your current switch plates, or replace cover plates as needed. 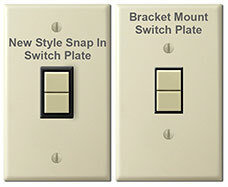 Note that there are 2 different styles of replacement switch plates - Bracket Mount, in which switches (#5 in image above) are mounted in a strap separately from switch plate) and New Style snap-in installation (#4 in image above) in which switches snap directly into plate and don't sit in a metal strap). Scroll down for more info. 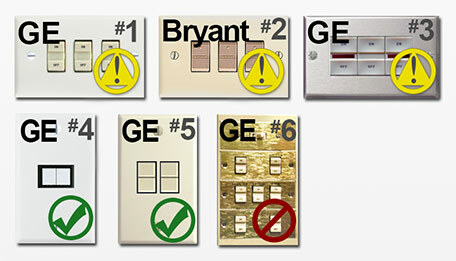 Solution: If you need replacement switch plate covers for old GE or Bryant switches shown as #1 and #2, you can buy replacement Old Style GE light switch covers. 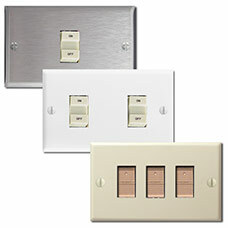 To get new cover plates for GE RCS switches (shown as #3), you can shop GE RCS Style wall plate covers. 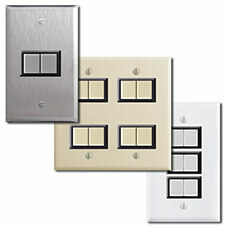 If any of your switches are broken, you will need to buy new GE switches and the compatible cover plates. We also carry the relays. Solution: These old GE switches and cover plates have been discontinued and are no longer available for purchase. 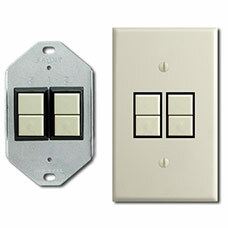 You can update with new GE low voltage switches and coordinating updated GE switch plates. If you only need a replacement switch plate, you will have to buy new switches to go in your new plate, as the new switches are a different size than your originals. 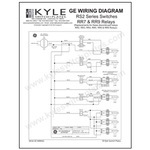 Replacement GE relays & transformers are available on our site. If your home was built in the 1940s, 50s, 60s, 70s or 80s, you may have a General Electric Low Voltage Lighting System installed in your home. If any of the switches and switch plates in the above diagram look familiar, you're in the right place for buying replacement parts for broken switches or missing switch plates. The products at the top of this page include switches, switch plates and relays for replacing old, discontinued or broken GE or Bryant low voltage parts. Learn more detailed information about the various types of replacement switch plates and other parts below. The new style GE RS2 switches are the currently manufactured replacement switches for both a Bryant and GE low voltage system. These and other new low voltage switches (including pilot light and raise/lower switches, pictured at left) will work with your old GE relays and old Bryant relays. They will not, however, fit your old style switch plates. If you buy a new switch, you will need a new switch plate. Both the GE New Style switch plates and the GE Bracket Mount switch plates fit these new switches. Compare New Style and Bracket Mount plates here. 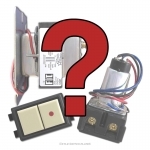 Want to buy 3-way GE low voltage switches? 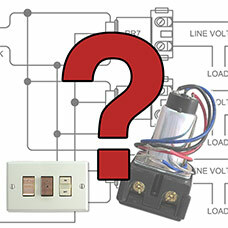 Actually, you don't need a separate switch - the RS2 series switches can be wired as a three way low voltage switch. Just wire them in parallel so that any switch on the circuit can turn the lights on or off. 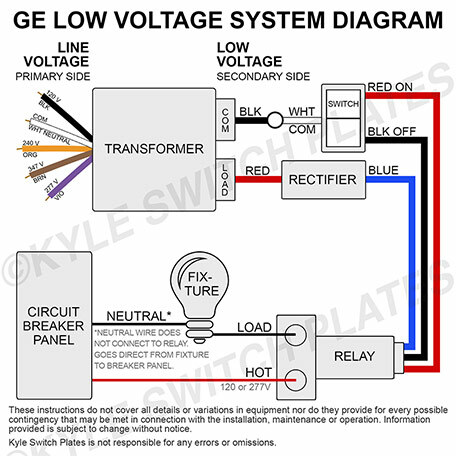 Find the correct switch for replacing any antique GE device with Kyle Switch Plates' Old vs. New Replacement GE Low Voltage Switch Comparison chart. If you have the original GE or Bryant switches and they are in working condition, you can buy Old Style switch plates for them here: Replacement GE Old Style Low Voltage Switch Plates. These plates are manufactured to fit the original switches, but the plates are brand new. 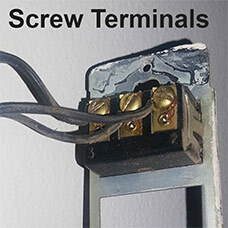 Note that your old switches may have wires attached via screw terminals, as shown here. 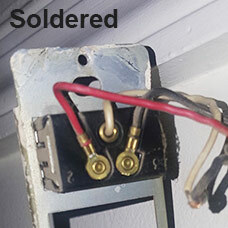 The 3 wires may also be soldered to the back of old style switches. If you are updating your broken, discontinued Bryant or GE low voltage light switches, or you've already updated to the new GE RS2 switches, you'll need to buy new low voltage switch plates to fit the new switches. You can purchase New Style GE Low Voltage Switch Plates for your new switches and the switches will snap directly into the plate. You will not need to use your old mounting strap to hold the switches in place, nor will you need to purchase a new mounting bracket for the switches. Note, New Style plates aren't your only option. 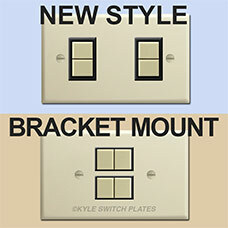 You can purchase new bracket mount switch plates, which do require a new bracket. Bracket Mount switchplates are only compatible with the new GE low voltage RS2 switches, not the original GE or Bryant switches, and require a new bracket. These plates will not work with your old bracket - the new switches are a different size than the old ones and therefore won't fit properly into your old bracket. You can jam them in, but the switches protrude more and the switch plate won't sit flush with the wall if you attempt to use the old bracket. A pinched switch may also burn out your relay. 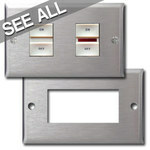 To use these plates, first mount a new 1-gang bracket (houses 1-2 switches) or a 2-gang bracket (houses 3-4 switches). While bracket mount plates are slightly more expensive if you are purchasing new switches for the first time - because you also need to purchase the accompanying bracket - they are desirable to some because less of the black edge of the new low voltage switch will show once installed. Compare New Style & Bracket Mount Covers - learn the differences and choose the right style to fit your needs. What's the difference between GE New Style and GE Bracket Mount switch plates? There are 3 differences between the New Style and Bracket Mount plates. One is that the New Style don't require a new bracket (making them a cheaper option) because the switches snap directly into the plates (the plate itself acts as the bracket). Because the switches snap into the plate from the front, they stick out more from the wall. Also, more of the black edge of the housing around the switch will be visible once the switch and plate are mounted because the front of the switches are on the exterior of the plate, rather than underneath. Are the RS2 series of switches my only option for replacing my broken GE low voltage switches? 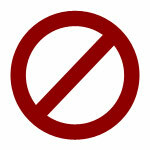 If you don't like the look of the updated GE low voltage system, there are a couple of other solutions. You can keep your working relays and replace your switches either with Despard Sierra style trigger switches or with any of the various Touch-Plate electrical switches. 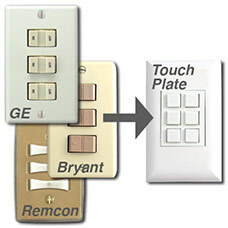 The tricky thing to note about going to Touch-Plate from GE, Bryant or Sierra is that for every 1 GE / Sierra / Bryant switch you are replacing, you'll need 2 Touch-Plate buttons. It's the same concept that applies for replacing a Remcon low voltage system - so please refer to our Guide for Replacing Remcon with Touch Plate (scroll down the Remcon page for the photo guide). 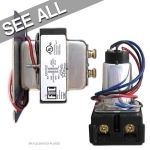 You'll also want to add the Low Voltage Conversion Wiring Guide to your cart (it's free!) for wiring instructions. What is the difference between old style GE and original style GE light switches? The new GE switches have two buttons - how many switches do I need? 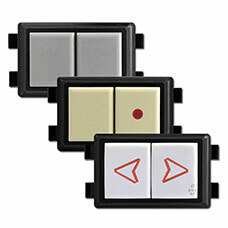 GE's new 2-button light switches function the same as the small vintage rockers, so even though the switch is now divided in half with two separate buttons, they are still considered to be a single switch. Each direction you pushed on the old rockers - up/on or down/off correspond to one button on the updated switches. Help! I've never seen a low voltage system before. 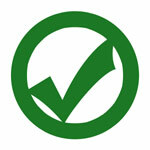 We can include free GE low voltage wiring instructions with your GE low voltage purchase if you add them to your cart. Simply find the instructions you need, add them to your cart, and we'll include them with your shipment. Note: Wiring instructions are provided as a guide only. For proper installation, consult a licensed electrician. These instructions do not cover all details or variations in equipment nor do they provide for every possible contingency that may be met in connection with the installation, maintenance or operation. Kyle Switch Plates is not responsible for any errors or omissions. What if my low voltage switches are not GE? Not sure GE is what you have? It's possible your home has another discontinued low voltage lighting system such as Touch-Plate, Remcon, Pyramid, or Sierra. Visit our Identify Your Low Voltage System page to find your system and we'll help you locate the correct replacement parts.